Once you complete the admissions process you are automatically considered for an academic scholarship award. In addition to academic merit awards, UM also offers a variety of talent-based scholarships. Our enrollment counselors can help guide you in applying for a variety of grants, loans and work-study programs that can help lower your out-of-pocket college payment. Grants are need-based gift aid awarded to students who qualify. To determine eligibility for most of the following programs, students must file a Free Application for Federal Student Aid (FAFSA) and have results sent to the University of Mobile. Students who have been a resident of the state of Alabama for 12 months and are a U.S. citizen or a permanent resident. The average award in the last two years has been approximately $800. An application is required. This federal grant is administered by the Department of Education to undergraduate students demonstrating a high level of financial need. The amount of these grants varies and is determined by the Department of Education. Each academic year, the University of Mobile will award a tuition scholarship to a Boys and Girls Club member getting ready to graduate from high school and pursue an education at the University of Mobile. For more information on the Wallace Scholarship and how to apply, please visit here. Legal dependents of ordained Southern Baptist ministers employed by a Southern Baptist Church or legal dependents of ordained ministers of a New Testament church outside the Southern Baptist denomination are eligible to apply for the Minister’s Appreciation Grant in addition to other merit-based scholarships. This grant is not stackable with talent-based aid and amounts vary based on need. This grant may be awarded for a maximum of eight semesters; however, maximum aggregate eligibility will be pro-rated for entering transfer students and upperclassmen receiving this award for the first time (for example, a second semester sophomore who receives the scholarship for the first time will be eligible for a maximum of five semesters).  University of Mobile Torch Society Scholarships are awarded to students who have distinguished records of academic achievement, demonstrated leadership, and Christian commitment. The Scholarship Committee seeks students who intentionally use their exceptional talents, abilities, and personal commitments to better society. For more information on the Torch Society Scholarships and how to apply, please review the Scholarship Agreement and Scholarship Application. Applications are due March 1. The University of Mobile Alumni Association is proud to offer a $1,000 annual scholarship available to students whose parents or legal guardians are UM Alumni. Eligible students may download an application via the link below. Recipients will be selected by the Alumni Board of Directors and will be evaluated according to the following criteria: include financial need, quality of application, GPA, and extracurricular activities. For more information on the Alumni Association Scholarship and how to apply, please visit here. Applications are due March 1. If you are the recipient of an outside scholarship, you must notify the University of Mobile Financial Aid Office. The Financial Aid office is required by law to adjust federal aid if the addition of an outside scholarship results in an over-award situation. There are certain times when an outside scholarship may make you ineligible for the federal financial aid you were previously awarded. Your aid officer will notify you if a change is made in your aid offer. Semesters of disbursement. Notation as to which academic term or terms the check should be applied to. If donor instructions are not provided, the university will assume the check is for the academic year. The scholarship check will be split between the fall and spring semesters. Notation as to whether the scholarship can be applied to any educational expenses or only certain educational expenses, for example tuition and fees only. If no notation is included, it will be assumed that the funds can be applied to any educational expense.